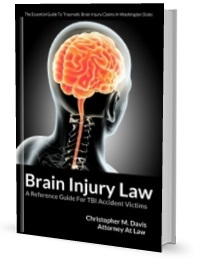 Most people who sustain a traumatic brain injury will only experience one at a time. Some people, however, may experience many brain injuries, causing minor problems that compound over time. In very severe cases, a severe blow to the head or repeated blows to the head can cause a condition called chronic traumatic encephalopathy, or CTE. CTE is a degenerative condition with symptoms that appear slowly over time. Difficulty with attention, dizziness, disorientation, and headaches usually begin 8-10 years after the traumatic brain injury or series of injuries. As the disease progresses, sufferers experience memory loss, erratic behavior, social instability, and poor judgement. In its final stages, the disease can cause dementia, speech impediments, deafness, difficulty recognizing faces, problems controlling muscle movements, difficulty swallowing, ocular abnormalities, and suicidal impulses. In some rare cases, CTE sufferers may also develop chronic traumatic encephalomyopathy, a degenerative neuron disease that mimics ALS (Amyotrophic Lateral Sclerosis). The progression of the disease causes the brain to lose weight over time; it goes through a series of structural changes as it atrophies and loses neurons. Scientists have also found significant deposits of tau proteins in the diseased tissue, which can also be a marker of Alzheimer’s disease. What Are The Most Common Causes Of CTE? This disease was once known as dementia pugilistica, as it was found frequently in boxers. Athletes who participate in sports involving repeated impacts to the head are particularly vulnerable to CTE. It has been found in football players, professional wrestlers, and ice hockey players, among other athletes. While professional athletes with long careers involving dozens of concussions are the most vulnerable, the disease has also been found in former high school athletes. Military personnel who are repeatedly exposed to explosive blasts can develop CTE as well. Researchers are currently investigating the prevalence of CTE among victims of domestic violence who have been struck in the head repeatedly. With current medical technology, it is impossible to definitively diagnose CTE in a living patient, although doctors hope that a test will be available within the next decade. The diagnosis is typically made after death, during an autopsy of the patient’s brain. Researchers have encouraged patients who believe that they may be suffering from CTE to donate their brains to science so that further studies can be performed. Preventing CTE is difficult, as the people who are at risk for the condition rarely want to give up a sport or a job even if they know that they are at risk. Research into safer headgear for members of the military and for athletes is currently ongoing. No cure for CTE exists at this time, although doctors may prescribe medication and psychotherapy to treat the symptoms of the disease.